Look West tonight about a half-hour after sunset and you will see the Moon just to the upper left of Mercury, which will be about a full fist-width above the horizon. You have to have a clear view of the horizon to get the best view. Mars is a bit farther up to the left. On the 30th the Moon will be just to the upper left of Mars. Be sure to look for Earthshine on the Moon which is the lunar surface illuminated by the reflection of sunlight off our planet's oceans and clouds....very beautiful. Binoculars will help immensely in your viewing. You are probably aware that there is a total solar eclipse occurring across the continental US on August 21, 2017. Millions of people will be able to see either a total or partial solar eclipse from wherever they are. With just under 5 months to go now is the time to get ready for this event. Here is a COMPLETE guide to the eclipse courtesy of Sky and Telescope of which I am a long time subscriber as well as author. The most important thing about the event is that you have to SAFELY observe the Sun. Be sure to read the safety guidelines. This is part of S&T's Guide but I wanted to highlight it NASA has a Solar Eclipse Guide. I will have more on this as we get closer to August. The Moon is going to be a place where humanity will build outposts to stay long term; it is only a question of when. One of the biggest issues to a lunar outpost is how to keep people and facilities warm when there is no sunlight. The Moon has day and night but it is on an almost month long cycle as opposed to our 24 hour cycle. 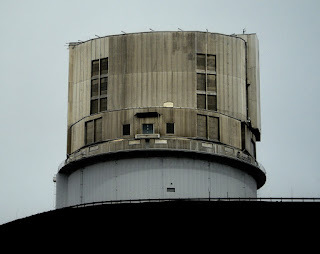 Temps can drop drastically during the lunar night and will need a heat source to keep people alive in their facilities. The European Space Agency (ESA) is working on this problem and is looking to using lunar soil as a solution. It will be interesting to see how this research pans out. 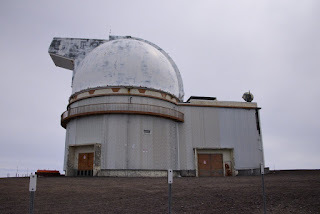 On a tour arranged by Holland America's Westerdam I was able to return to the summit of Maunakea, Hawaii earlier this month to see the numerous observatories located there. It has changed quite a bit since my last visit in 1992. 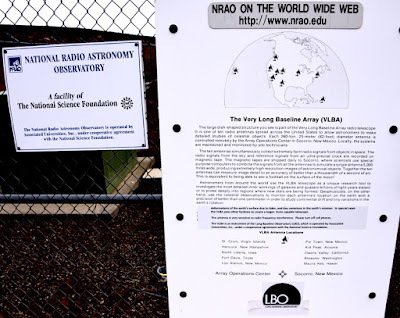 Yesterday's blog included a picture of the VLBA radio telescope that is part of the Event Horizon Telescope. SO I won't include it here today. The biggest change being that the 10-meter Keck Observatory now has a twin Observatory, Keck II. 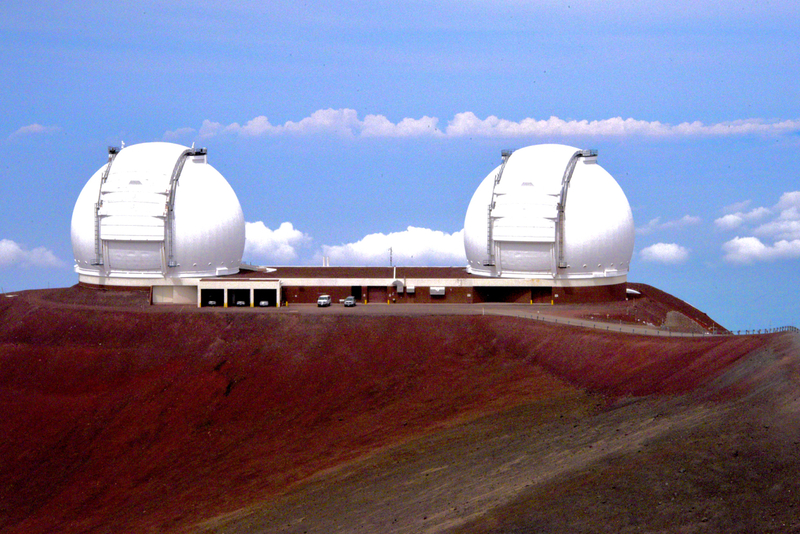 These are currently the largest optical telescopes in the world, having surpassed the 5-meter Hale Telescope at Palomar Observatory with the commencement of observations with Keck I in 1993. Maunakea is a VERY special place because it has such clear and dry skies at almost 14,000 feet altitude. 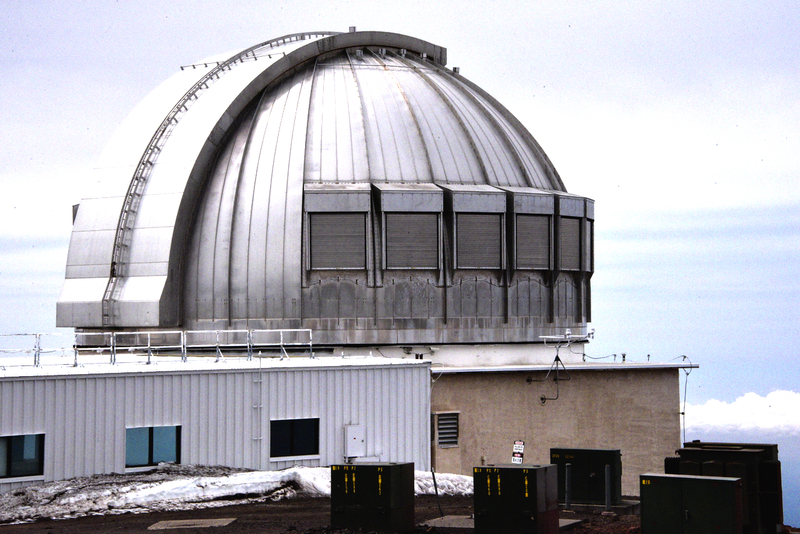 The telescopes there can observe above much of the Earth's atmosphere and enjoy excellent conditions. That is why there are so many telescopes there. Collectively the Maunakea Observatories are a very important asset in our study of the Universe. 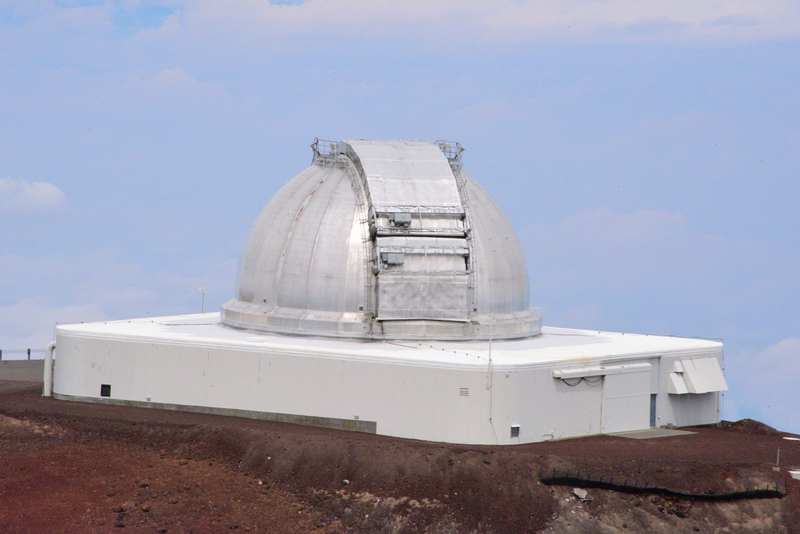 Here are some of the Observatories - refer to the link for more information about them. I hope to get back there someday when I can enjoy a night time few of the Observatories and the night sky.....it's on my Bucket List. Here is an excellent article on the Event Horizon Telescope (EHT). 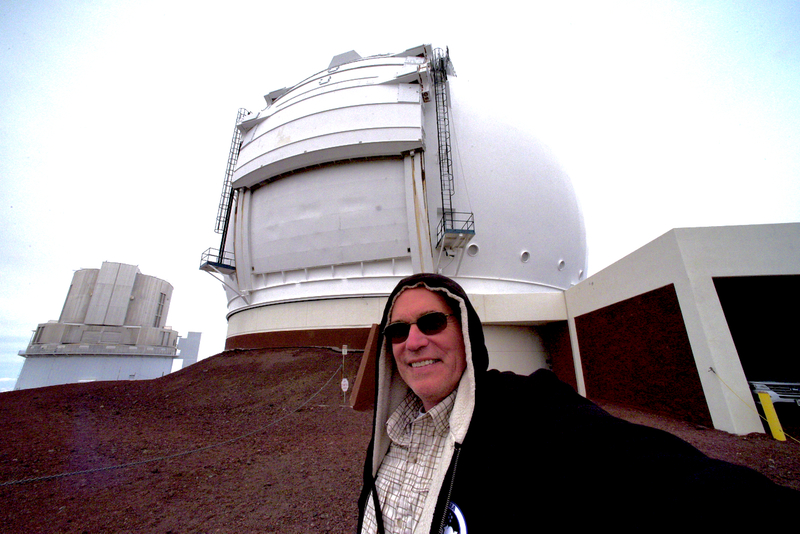 EHT is supposed to start observations next month if all goes well but as the article states, it will be months of data processing before we know if the attempt to image a black hole event horizon was successful. 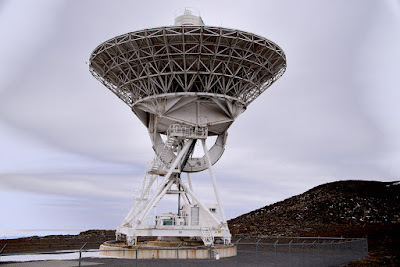 On my recent voyage I was able to get a photograph of the Hawaii-based radio telescope that is part of the EHT network. 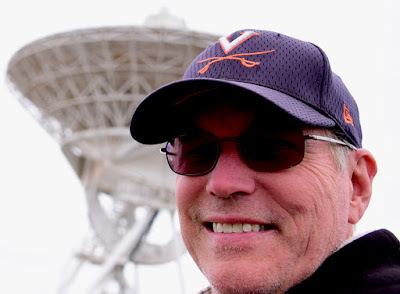 It was so cool to see this clone of the Very Large Array (VLA) that was featured in the movie 'Contact' and is poised to make history with EHT. I couldn't get my "touch history" selfie as I usually do so I had to improvise. 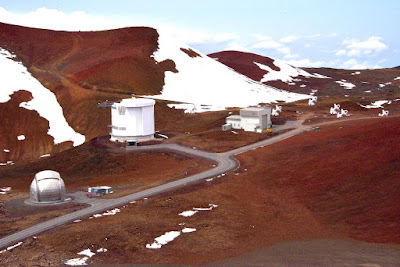 Tomorrow I will share my visit to Mauna Kea, HI. Happy last day/night of winter in the N. Hemisphere. Here is a good article on asteroids for your perusal. 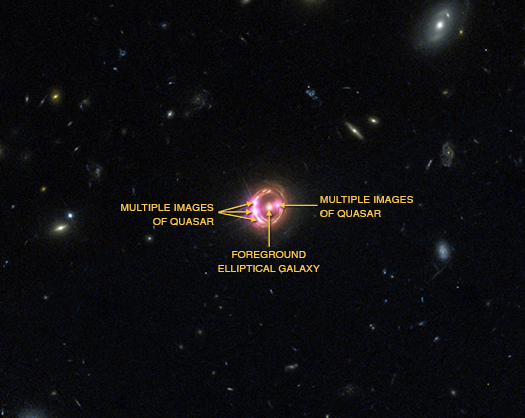 It shows multiple images of a quasar 6 billion light years away that we can see due to the gravitational lensing of a foreground galaxy. A quasar is a galaxy that has an active supermassive black hole at its center. 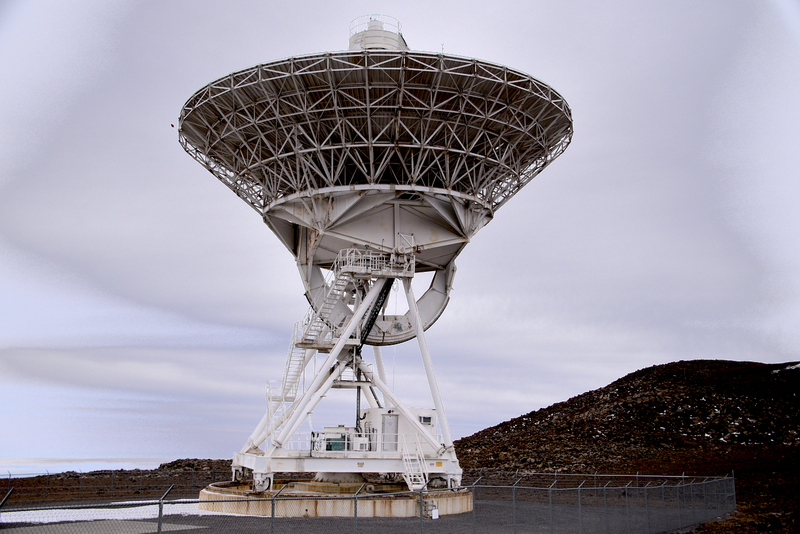 The black hole has infalling matter - planets, comets, gas, etc - that heats up to millions of degrees as it gets consumed. It produces a great deal of light and energy that we can detect and study. 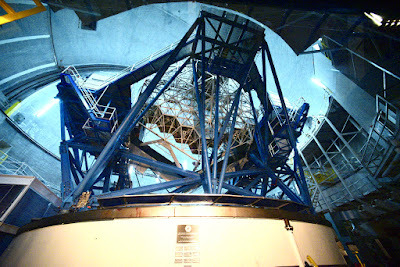 The gravitational lensing helps us to see this quasar and make measurements of the black hole. 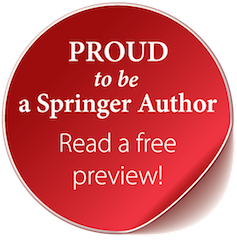 See this video to help understand what you are seeing and read the article. Really amazing - what a universe we live in. Here is a nifty video that gives you an idea of what NASA does and where. Enjoy! Here is the Congressional NASA bill sent to POTUS Trump for signature. It appears that NASA is still heading for Mars. But no Administrator for NASA named yet. Looks like funding for 2017 will be $19.5 billion. Read all about the new NASA mission to the under the surface ice ocean world Europa - Europa Clipper. Galaxy Clusters are the largest structures in the Universe. 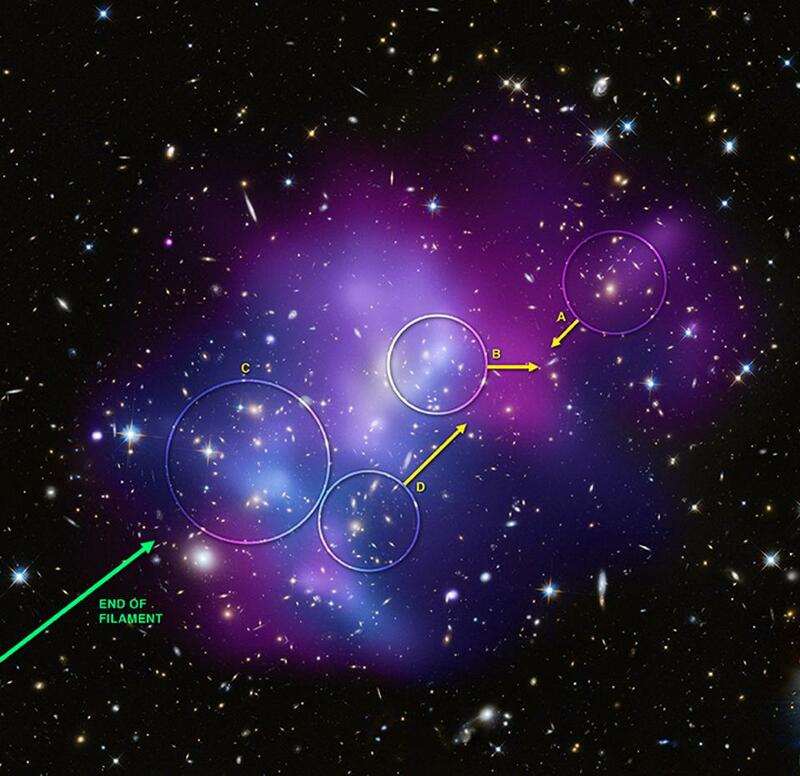 Here is a great article about FOUR Galaxy Clusters observed in the process of merging into one! Check out Pan, an amazing moon of Saturn. 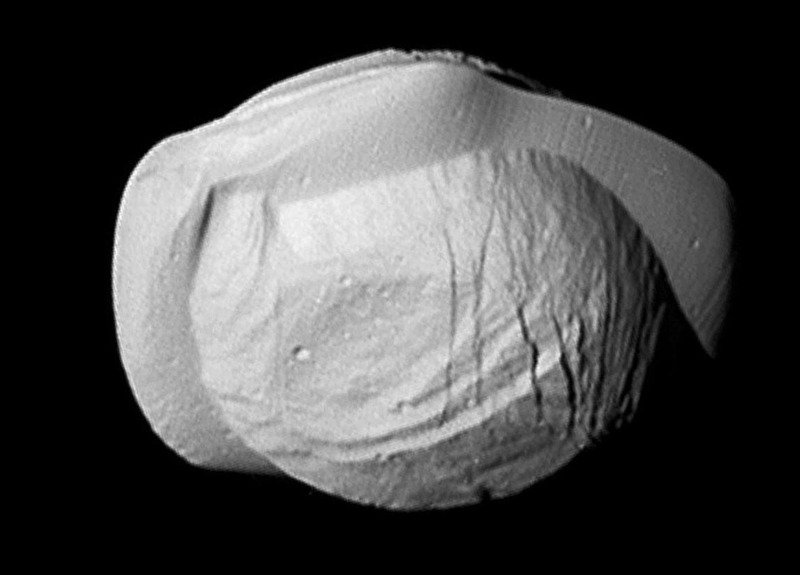 To me it is the weirdest place (to date) in the solar system. Get more info on this UFO-looking world here. Check out this very cool meteor shower visualization tool. You can select what meteor shower you want to see from a list of 45 and then view it from a variety of angles. You also will read about how some of them are warped by Jupiter's gravity. Glad to be back after a wonderful 18 day Hawaii cruise aboard Holland America's beautiful Westerdam. 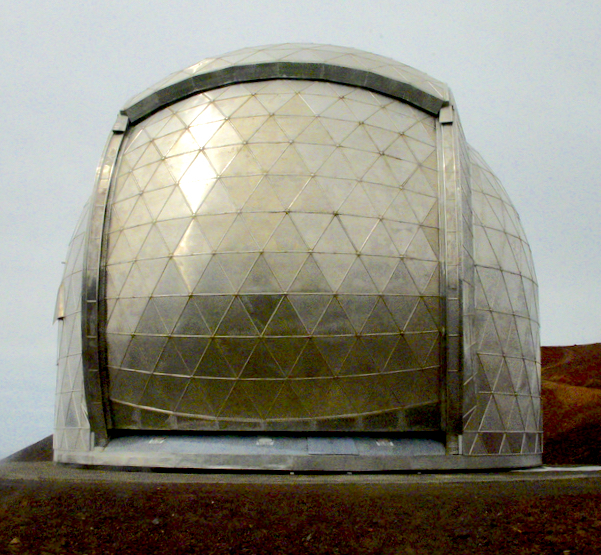 I will share with you my trip to Mauna Kea Observatories later but I want you to see this first. I toured the Hawaii Volcanoes National Park HVNP on 2/24/17 and it is currently active in its central crater. 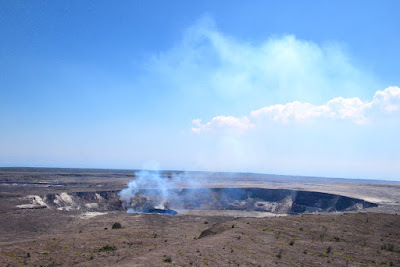 It was amazing to see venting come out of the crater AND TO SMELL IT. When I was up at Mauna Kea you can see the VOG - volcanic smog - in a layer that flows through the valley between Mauna Kea and Mauna Loa. 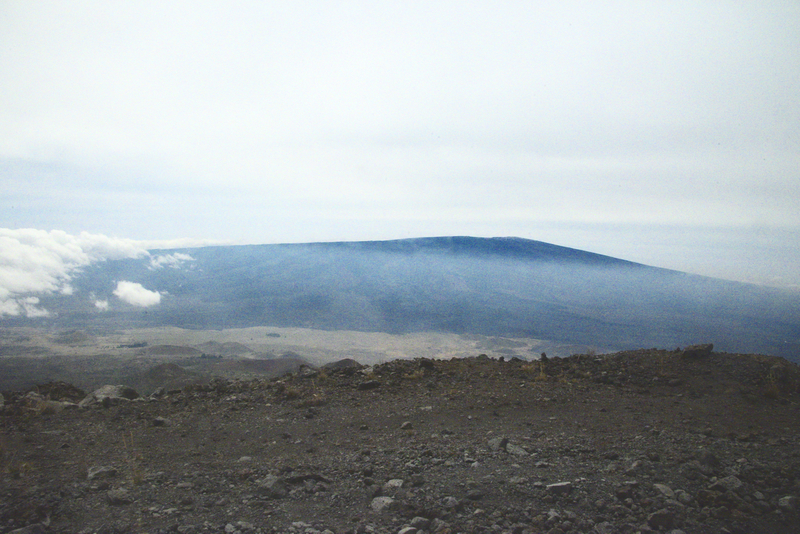 The real treat was the next night transiting to our next port when we went directly south of HVNP. 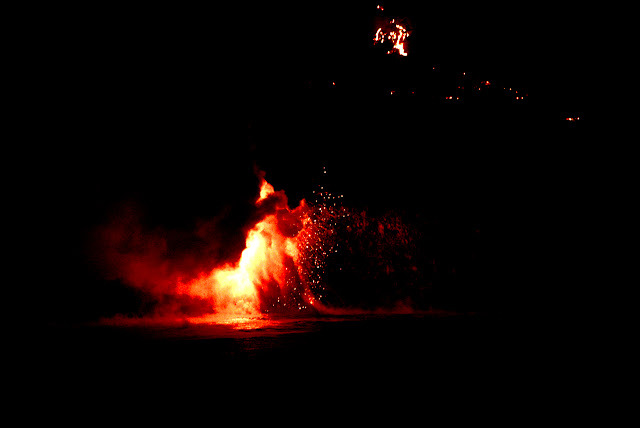 It looked like Hell on Earth as the Crater came alive in the dark. I made a video of the lava flow that descends from the crater to the sea and posted it on You Tube. The awesome power of seeing new land being created right before your very eyes in such explosive fashion was breathtaking. 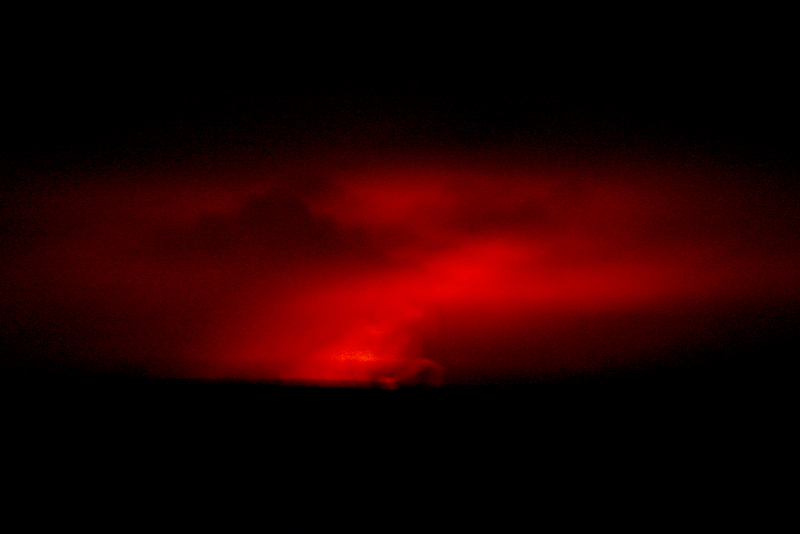 I have seen the effects of lava on Earth and in the solar system but this was my 1st ever encounter with LIVE and active lava. It was simply amazing and humbling. We humans think we are in control of all things - we are not. Earth is. Change the climate or the geology of our planet and you change humanity. We are seeing that in climate change right now and I have seen the affects in my world travels. I have personally witnessed the power of geology in the form of 8.1 and smaller earthquakes to include being in the San Fransisco event of October 1989. 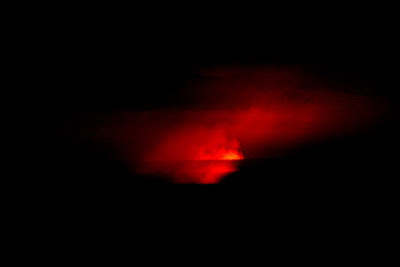 And now, seeing the Dante's Inferno of destruction and creation at work at HVNP through the unrelenting power of lava, I am awed. 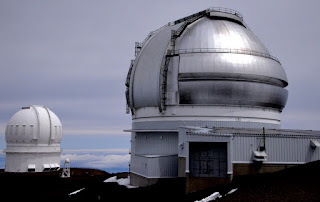 Our planet and other bodies of the solar system have been built through mighty geologic forces including volcanoes and lava - the Moon, Venus, Mars, Io to name a few. 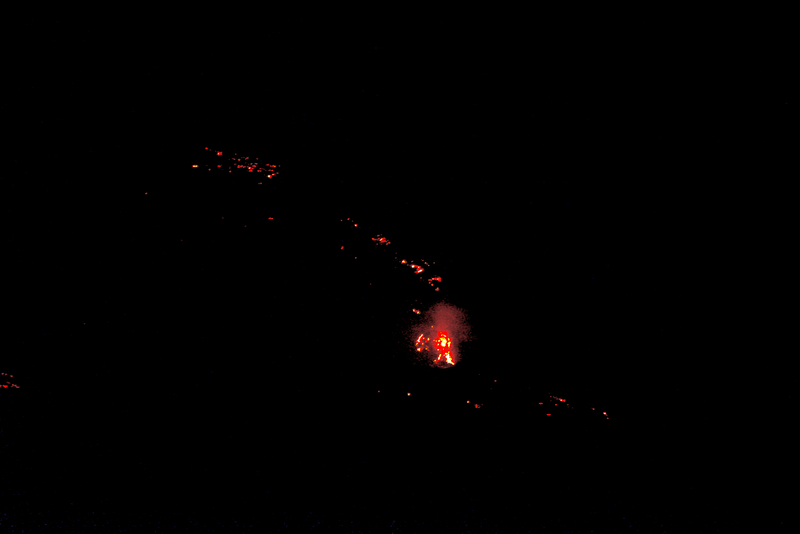 We have even seen CRYOVOLCANOES - "lava" of frozen origin - at work in the outer solar system. I hope this has given you a better perspective about the planet on which you live. The Earth doesn't need us, we need the Earth. Our planet has another couple billion years of evolution to undergo before the Sun destroys our planet by returning it into the dust from which it came 4.6 billion years ago. 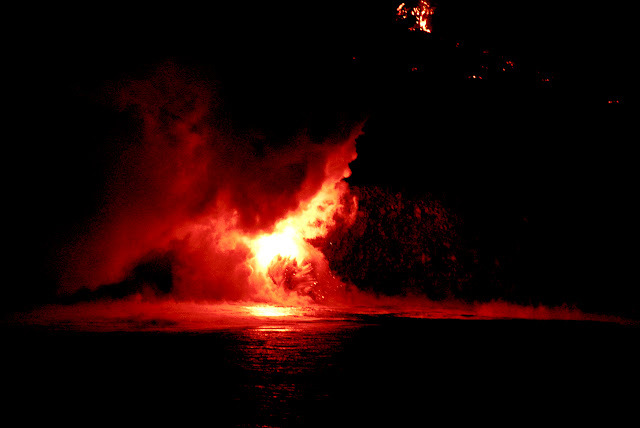 Until then, lava will continue to create and destroy and amaze. 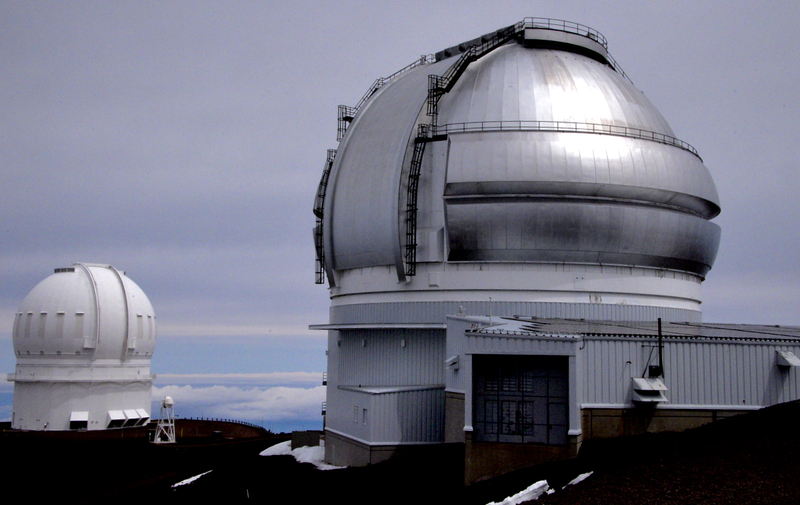 Help astronomers find the hypothetical Planet Nine. Read the story and then visit the site to begin working!